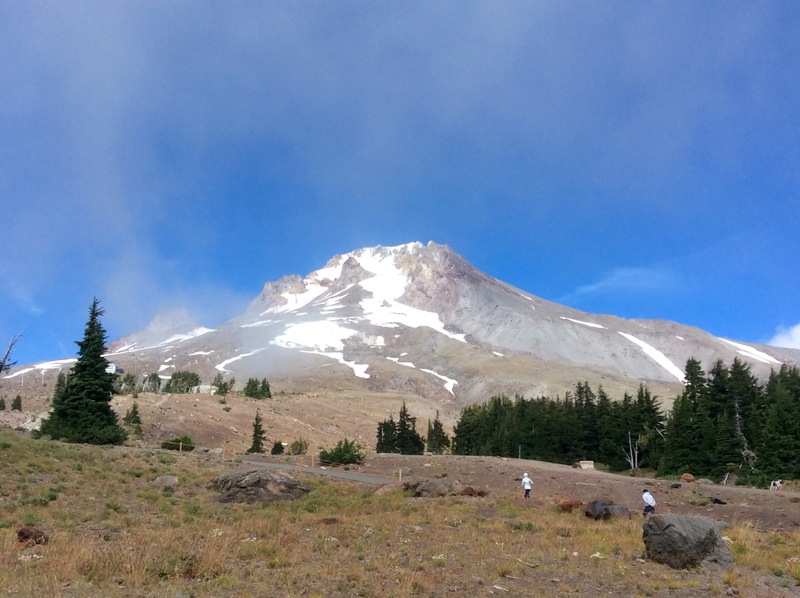 I enjoy taking tour groups to Timberline Lodge situated at nearly 6000′ elevation on the south flank of Mt. Hood. About 60 miles east of Portland, this National Historic Monument is within the Mt. Hood National Forest in Clackamas County, Oregon. Constructed from 1936 to 1938 by the Works Progress Administration, it was built and furnished by local artisans during the Great Depression. To allow for as many men as possible to benefit from the work opportunity, 100 workers rotated in and out every 2 weeks. They were housed in tents, provided 3 hot meals a day, and paid .90 an hour for skilled labor and .65 an hour for unskilled which was considered good wages at the time. Labor expenses accounted for 80% of the $1,000,000 budget. A massive 92′ tall six-sided stone fireplace takes center stage in the six-sided Head Room. I skied at Timberline once and never skied again. While sitting in front of a crackling fire here I realized that was more favorable to me than being outside skiing in the cold! 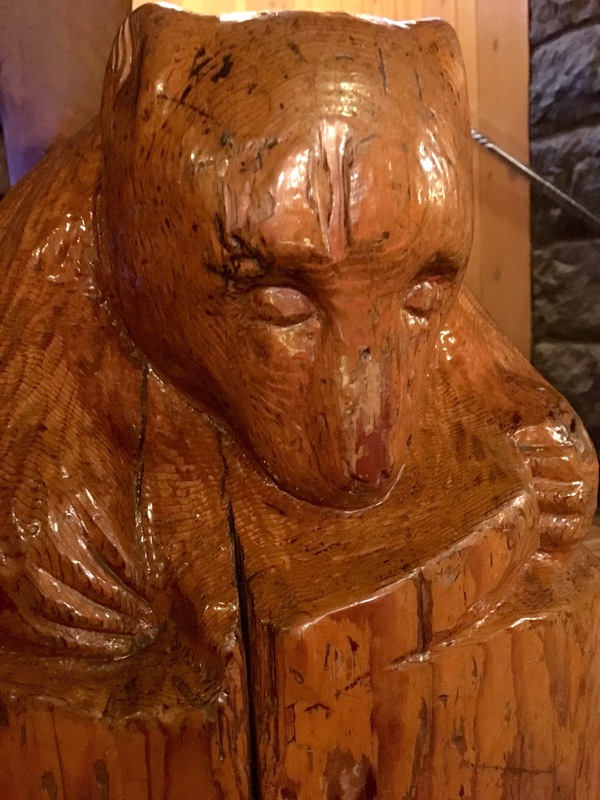 Originally Timberline Lodge served as both a ski lodge and inn, but to alleviate wear and tear on the historic site and to accommodate a growing number of daily skiers, the Wy’east day lodge opened in 1984. Material costs made up 20% of the budget and were minimized by the skillful use of recycled materials. Draperies, upholstery and bedspreads were woven from leftover fabric scraps. Old Civilian Conservation Corps camp blankets were cut into strips to make hook rugs. 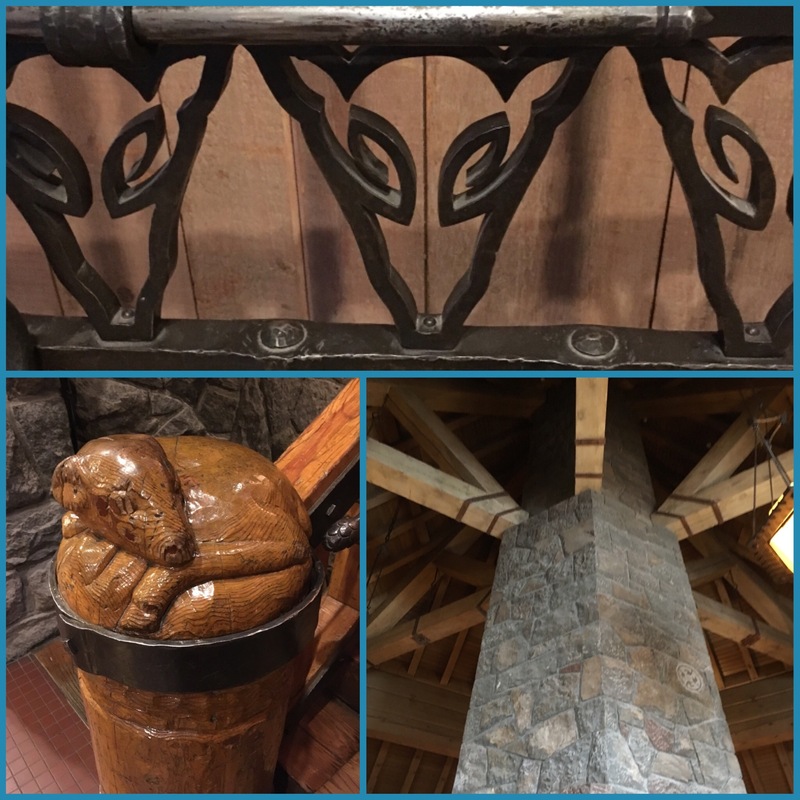 Newel posts were hand-carved from discarded utility poles, fireplace screens fashioned from tire chains, and andirons and other iron work forged from old railroad tracks. Boulders and timber from the immediate vicinity were utilized. 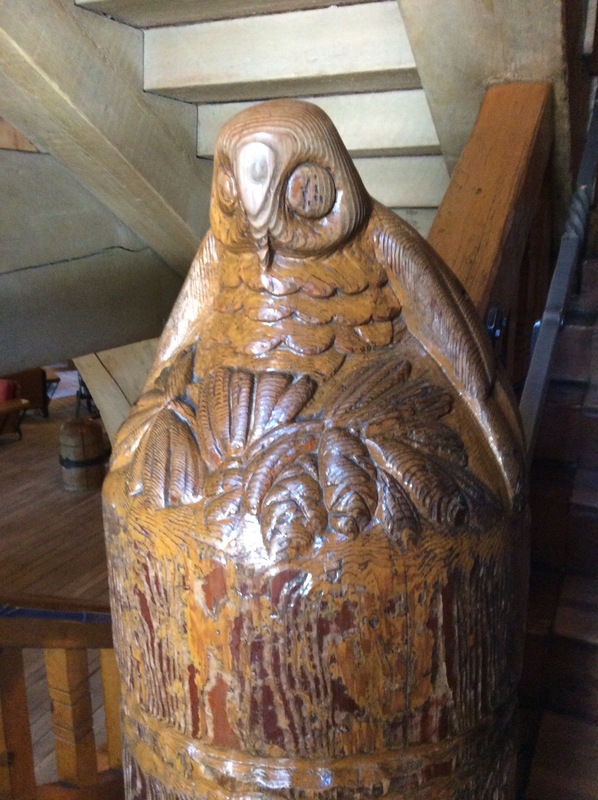 Beautifully carved wild animals cap newel posts created from discarded utility poles purchased for $2.25. 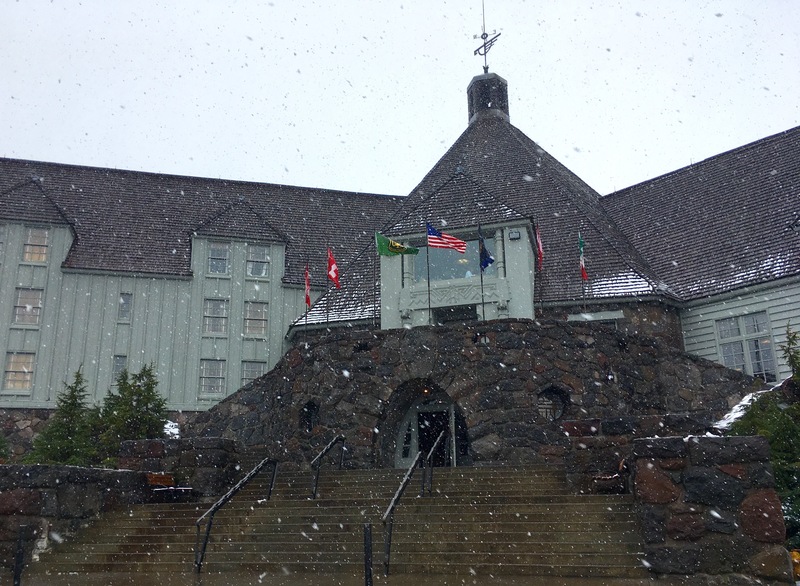 Timberline Lodge was dedicated September 28, 1937 by President Franklin D. Roosevelt. By 1955, an 18-year-old Timberline Lodge, which is owned by the US government, had four different operators and was in terrible condition, boarded up, and abandoned. Richard Kohnstamm, a 29-year-old with only a degree in Social Work and a love for the mountain, and no hotel experience, acquired the concession to operate the Lodge. Kohnstamm decided to maintain the place as if he owned it, using family funds. It was five years before he turned a profit. He died in 2006 and his son is now the Area Operator of Timberline Lodge. 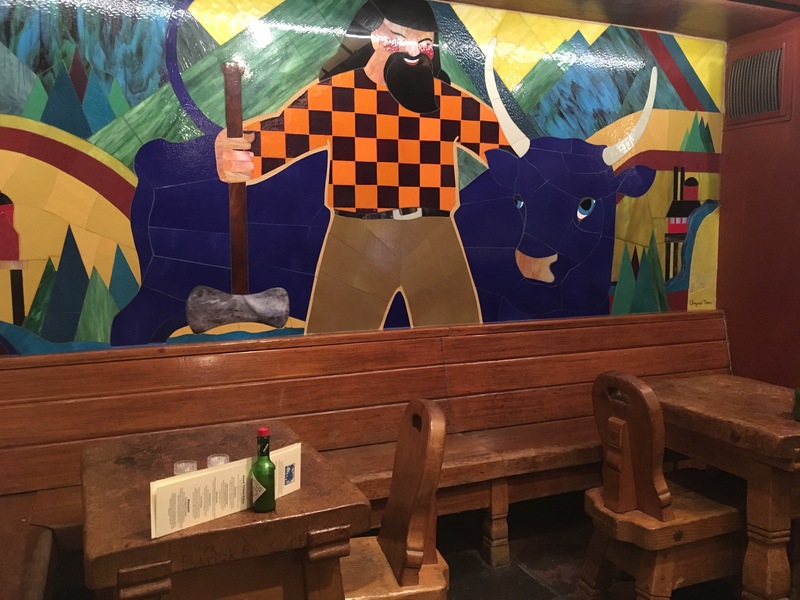 Today, Timberline Lodge is a resort hotel with 70 rooms that rent from $140-$360 a night and has a year-around heated outdoor swimming pool and hot tub. 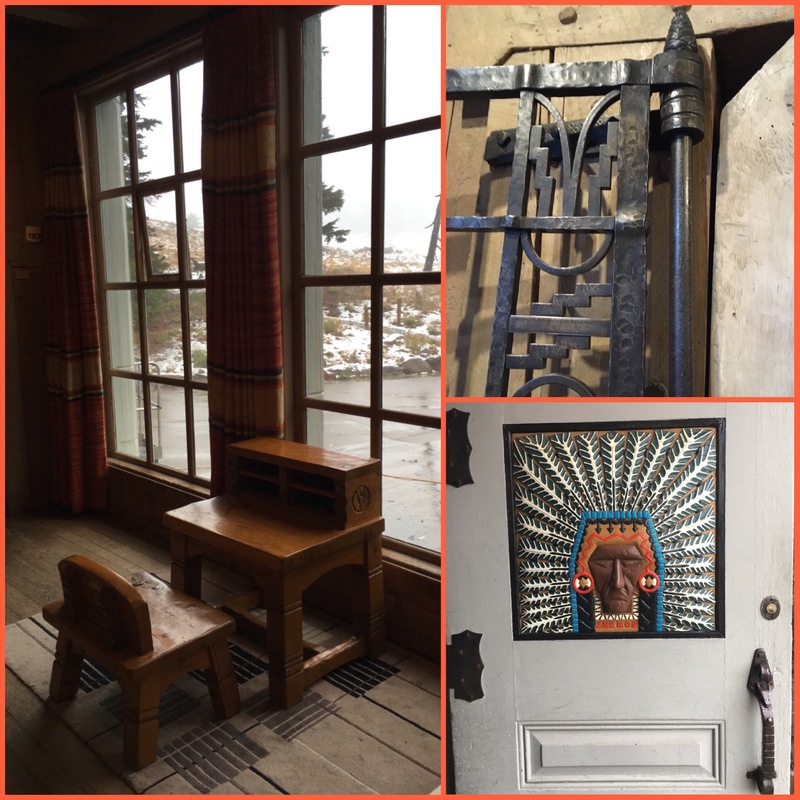 More than that, Timberline Lodge is a living museum dedicated to preserving the rustic arts and crafts from the Depression era. 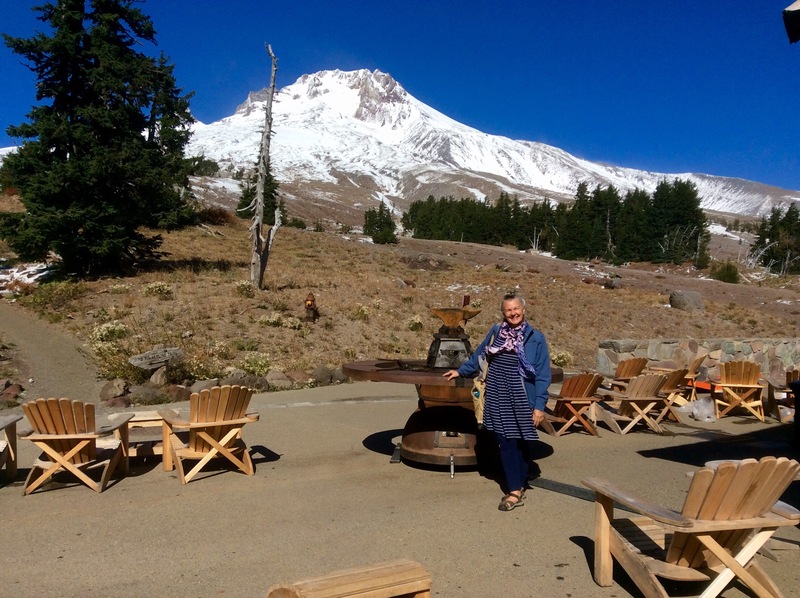 Timberline Lodge is an Oregon treasure! 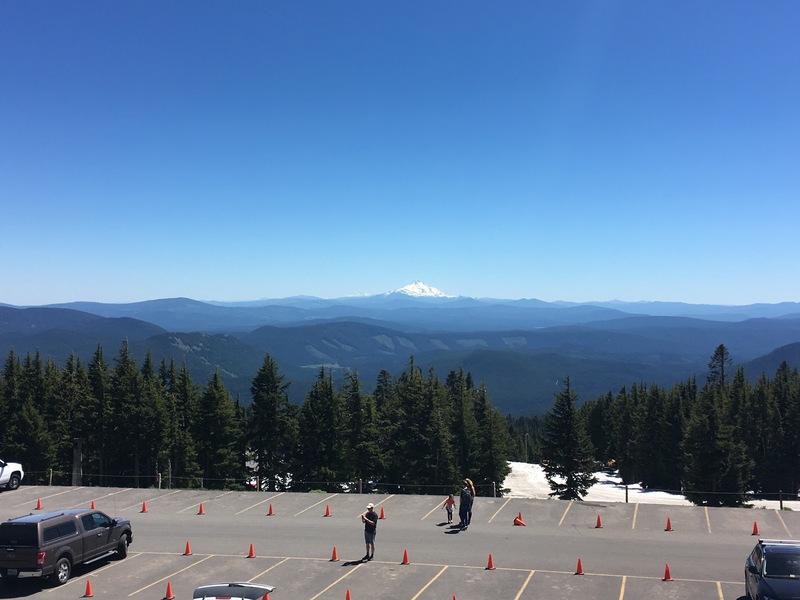 A summer snapshot of Mount Hood taken from the patio at Timberline Lodge – the only U.S. location where there is year-around skiing and snowboarding. On a clear day you can see forever… Mt Jefferson, 40 miles distant and 3 Sisters (barely visible to the left of Jefferson) is 100 miles from Mt. Hood. 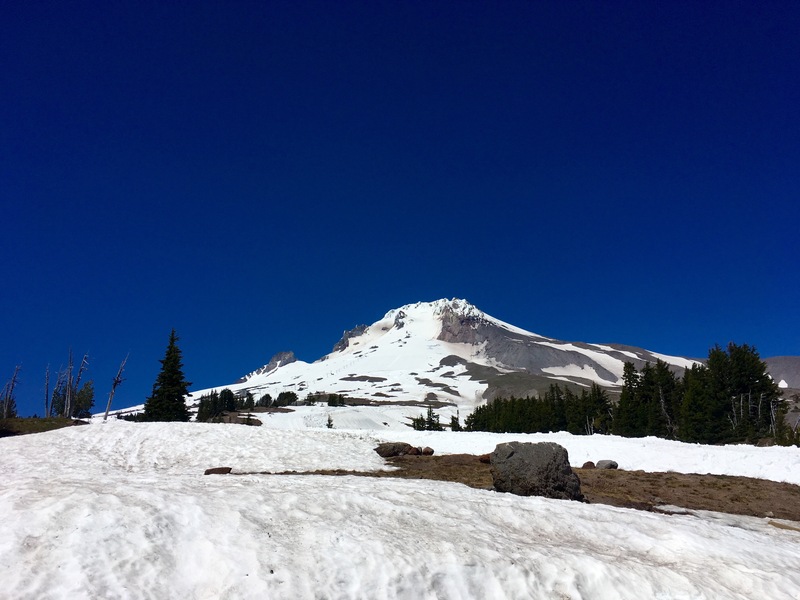 I have two suggestions for your visit to Timberline Lodge. 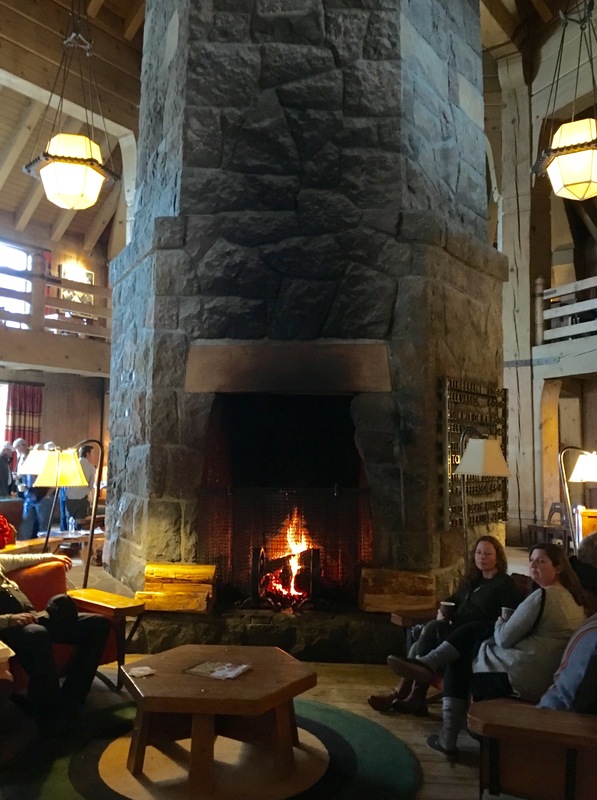 Look for Heidi and Bruno, resident Saint Bernards and that you sit in front of the fire and drink a Timberline Lodge specialty, the Snow Cap Dream, a 12-ounce cup of their world famous hot cocoa topped with real whipped cream, caramel and chocolate syrups and English toffee bits. Thanks for reading my friends…and Happy Travels!